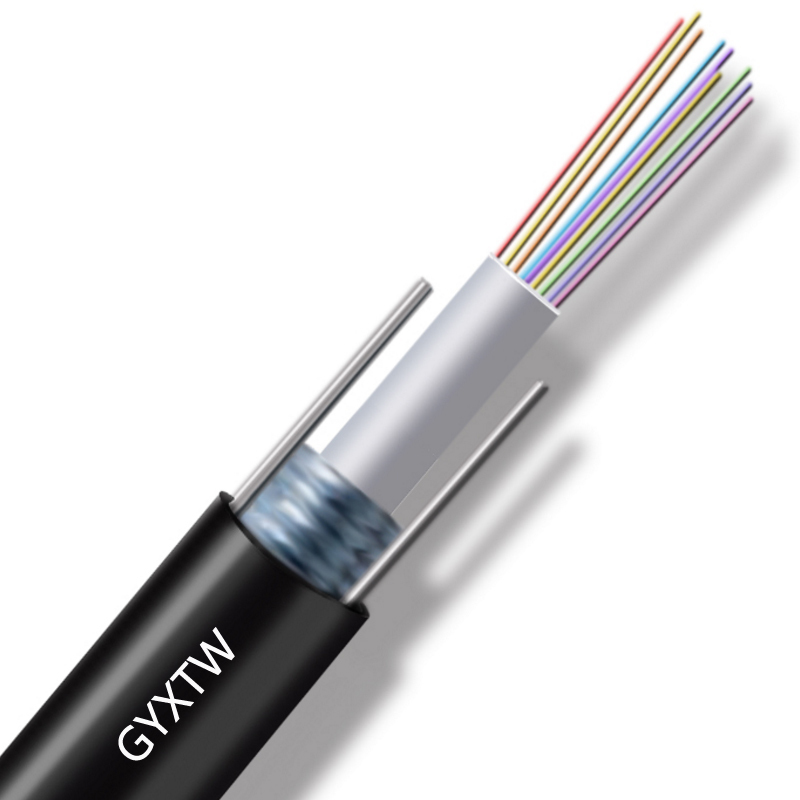 GYXTW Fiber Optic Cable, single-mode/multimode fibers are positioned in the loose tube, which is made of high modulus plastic materials and filled with filling compound. PSP is longitudinally applied around the loose tube, and water-blocking materials are distributed into interstices between them to guarantee the compactness and longitudinal water-blocking performance. Two parallel steel wires are placed at both sides of the cable core while PE sheath is extruded over it. © 2019 - SOLITINE. All Rights Reserved.